Mrs. Anita Rice (right) was installed at the June 28, 2018 Belmont College Board of Trustees meeting with Attorney Richard Yoss, of Yoss Law Office, administering the Oath of Office. St. Clairsville, OH (July 13, 2018) – Belmont College is pleased to announce the addition of a new member to serve on the College Board of Trustees. The newest board member, appointed by Ohio Governor John Kasich, is Mrs. Anita G. Rice. 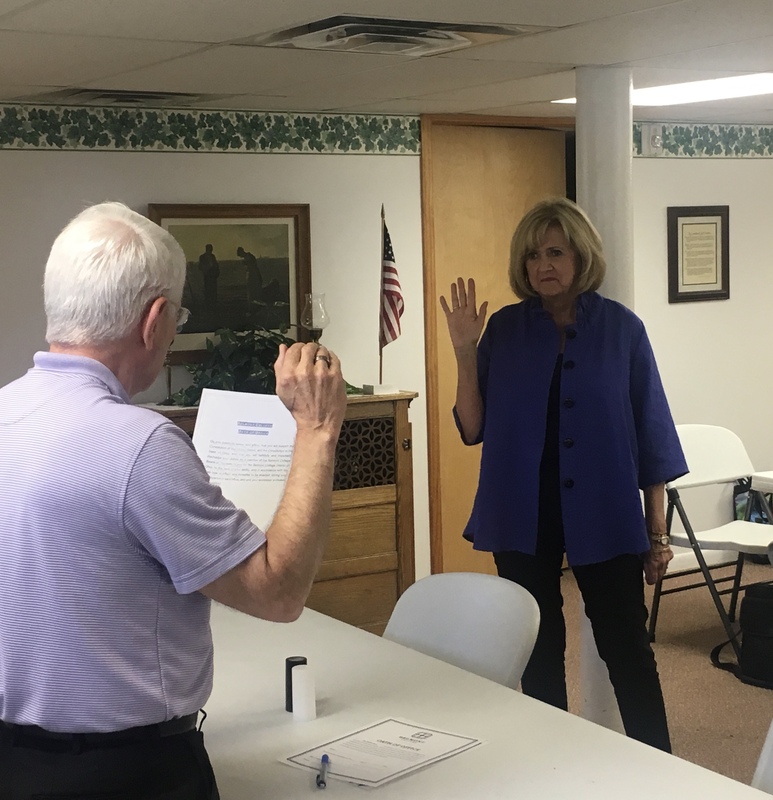 Mrs. Rice was installed at the June 28, 2018 Board of Trustees meeting with Attorney Richard Yoss, of Yoss Law Office, administering the Oath of Office. Mrs. Rice, from St. Clairsville, Ohio, currently works for Ohio River Collieries Company as Manager and Corporate Secretary as well as for Leonardo Technologies, in Human Resources. Additionally, she is co-manager of Valley View Campgrounds, LLC. Mrs. Rice is a graduate of Bowling Green State University with a Bachelor of Arts in Library Science and English. She also attended West Liberty University where she received an Education Certification. Mrs. Rice has been active on several area boards and organizations including, Tri-County Help Center, St. Mary’s Central School and Seeing Hand, Wheeling, WV.